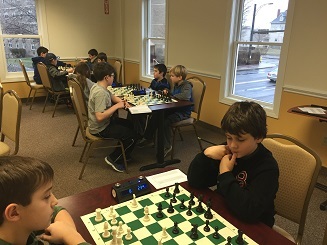 Due to the icy road conditions, Sunday’s K-8 was replaced by an eleven player 3-round swiss for those who made it to the club. In first place was Anibal Loureda with a perfect score. 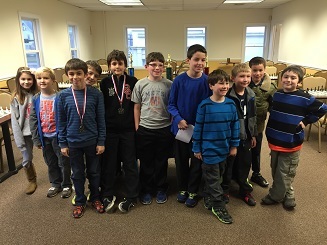 Six players tied with 2 points, but on tie-breaks dream teamer Daryl Lavin took second and Max Denner came in third. Congratulations to William Cox for competing in his first rated tournament. We look forward to seeing everyone at our next scholastic event.